The thinnest plug on the market at only 18mm! 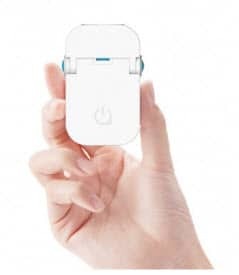 The Pokkit has 2 USB ports for simultaneously charging your devices via the 3 pin socket – no more waiting for your phone to charge before firing up your tablet! Once done simply fold the Pokkit and put it in your pocket or bag. 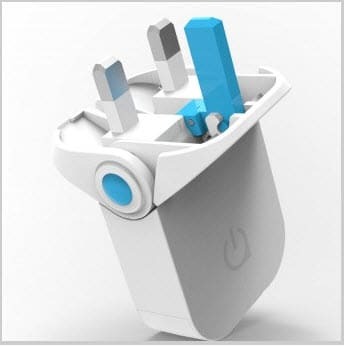 The sleek plug folds flat for travel ensuring your other devices won’t get scratched. Vdc – 3.4A. Worldwide patent pending. RoHS, CE and FC certified. What more could you ask for! We love to bring new product news to your attention – we’re always on the hunt for new and exciting products we can brand up with your logo or message. That way you look on trend too! Think it, Brand it, Own it, Love it!